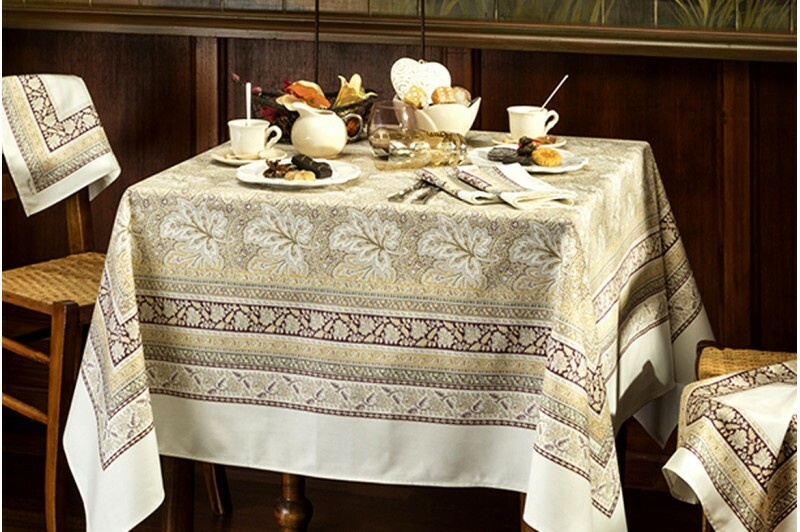 Celebrate the Fall season with the Vine Leaf tablecloth by Beauvillé. 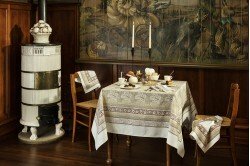 This beautiful Autumn design in beige and hazelnut tones is inspired by famous Alsatian vineyards landscapes and will bring an elegant French touch to your table. Made in France, in 100% satin cotton. The table linen collection features tablecloths, table runners and matching napkins. 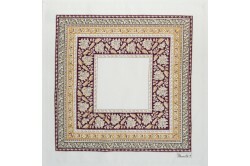 Available in beige or red.